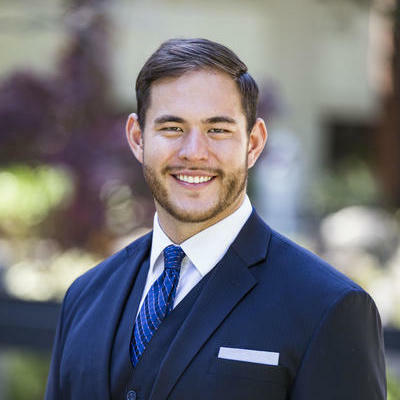 Adam S. Juratovac is a business lawyer at Juratovac Law in Palo Alto, CA. He works with entrepreneurs and early-stage start-up companies including international start-ups that want a Silicon Valley presence. Prior to building his own law practice, he worked at start-up companies in the Silicon Valley giving him first hand knowledge of the legal hurdles companies go through when bringing a new product to market. While working in the Silicon Valley start-up world, Adam was responsible for building the digital brands of over 100 professional athletes leading to successful partnerships. Due to his work with start-ups, he lectures internationally… read more on Social Media and Blockchain. "I’m a student earning my B.S. in Mathematical & Computational Sciences, and a B.A.H. in Sociology. After receiving a new offer in tech as an engineer, Adam advised me through the terms of my employment contract. He explained each term clearly and advised on how to properly negotiate my contract. Adam advised me about my liability, restrictions of work, and how to accurately create an inventions list to protect my past inventions. He was prompt with his responses and went the extra mile for me. I would definitely recommend him." •	Corporate Documents. Creates corporate documents for start-up companies and entrepreneurs. These documents include, distribution, licensing, and non-disclosure agreements. •	Blockchain. Provides advisory compliance counsel to blockchain companies regarding regulatory issues and compliance. •	Marketing and Advertising. Ensure digital marketing programs are FTC compliant. •	Trademarks. Conducted trademark clearance searches and prepared statement of use filings, including negotiations for client’s copyright infringement to a successful settlement. •	Corporate Documents. Created and reviewed corporate documents for clients. •	Mergers and Acquisitions. Completed low level M&A work such as stock purchase and transfer. •	Contract Review. Reviewed contracts and lease agreements in support of sales. •	Marketing and Advertising Law. Drafted and reviewed content creation guidelines and finalized content for influencer marketing programs and contests on Facebook, Twitter, Instagram, and blogs. •	Strategic Partnerships. Negotiated partnership relationships with industry leading agencies and individual influencers. •	Transaction Negotiations. Negotiated contracts with elite influencers.